Hand made stoneware pottery; to be used every day. They are not only beautiful they are fully functional. This pottery will stand up just fine in the oven, microwave, and dishwasher for thousands of years. I make my pottery thinking of my customers and their families. I want you to know that this pottery will be around long after we are long gone. Enjoy using it at large family events or by yourself during a quite moment. I make my pottery to be handed down generation to generation. When you purchase a piece of my pottery, you are buying something that will outlive you. Think of the future and who may have a piece of you when this is handed down. 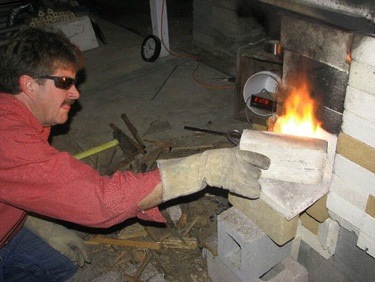 One man making functional Stoneware and Porcelain Pottery in his spare time for over 30 years.